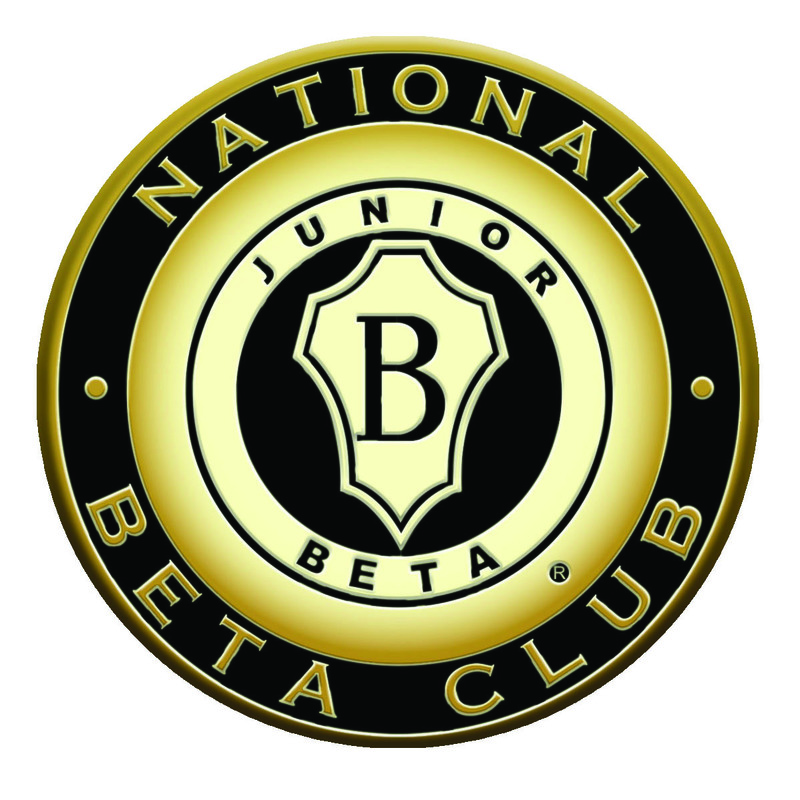 Tapp Beta Club | Welcome! New inductees should be seated no later than 5:45. Click on “Continue reading” below for more details and registration instructions. Shop with an Indian is a community outreach program organized by the McEachern Beta Club. McEachern students sponsor students from the elementary schools in our feeder program for a day of holiday fun. Each Elementary shopper will receive $100 to spend at Walmart with his or her assigned team of high school shoppers. Tapp Beta students will stay at McEachern and assist Elementary students with wrapping gifts, create and run holiday games for the Elementary students, and organize and lead holiday crafts for the Elementary students. This may include face painting, nail painting, coloring, cookie decorating, and ornament making. I will need a couple parent chaperones to come to McEachern about 11:30 AM and stay until the end, as I have another event to prepare for. Please let me know if you can help out for a few hours. Since we were/are not in school for our 2nd October meeting and both November meetings, we have called a special meeting for the 2nd Tuesday of the month- 11/13, before school. Reflections of Trinity Food Bank is in need of our help for their Thanksgiving Day Event. The event will take place on Saturday, November 17th from 8am-3:30pm at 4037 Austell Powder Springs Rd SW, Powder Springs, GA 30127. The goal of the Thanksgiving Day Event is to feed 600 hundred needy families in and around the Powder Springs Community. We will also provide breakfast that morning. We are in need of donations of breakfast items, such as breakfast casseroles, grits, orange juice, and apple juice. We also need monetary donations. Please give donations to Ms. Frost or Mr. Shannon. Please bring items to Reflections on Saturday morning by 8 AM. Shop with an Indian is a community outreach program organized by the McEachern Beta Club. McEachern students sponsor students from the elementary schools in our feeder program. Each Elementary shopper will also receive $100 to spend at Walmart with his or her assigned team of high school shoppers. Tapp Beta students will stay at McEachern and assist Elementary students with wrapping gifts, create and run holiday games for the Elementary students, and organize and lead holiday crafts for the Elementary students. This may include face painting, nail painting, games, coloring, cookie decorating, and ornament making. In conjunction with the 11 Alive Can-A-Thon Event, we will be collecting canned goods starting Wednesday, November 7th – November 29th. Our goal is 1,000 canned goods. Please place the collected canned goods in the box in your Grade Level TPA. We are partnering with the Powder Springs Police Department again this year to assist with their “Cops with Beards” Holiday Fundraiser. The funds collected will be used to adopt 3-4 families in OUR community for the Holiday. We are asking staff, students, and parents to donate change to assist in this worthy endeavor. Students will collect “change for a change” at the Tiger Pole one-two mornings per week starting November 8th – December 4th. The goal is $300+. Please help so that we can exceed our goal and bring much needed joy to these families during the Holidays. We are also partnering with the non-profit organization On My Mother’s Shoulders to provide toiletry items to our school community and homeless college students. We are in need of the following items: soap, wash cloths, toilet paper, toothbrushes, toothpaste, lotion, Q-tips, deodorant, feminine products, wipes, laundry detergent, dishwashing detergent, fabric softener, dryer sheets, and hand sanitizer. Although this SERVE activity will be ongoing throughout the school year, we want to make a “STRONG” showing during the Holidays. Please place the collected items in the On My Mother’s Shoulders box in your Grade Level TPA. The Women of Tomorrow is currently working on their fall service project. Last year, we took on the shoebox project and filled 50 boxes! This year we would like to invite our TAPP family to join in on this special cause and help us reach our goal of 100 boxes. Each homeroom class can donate items or build their own box for a chance to win a popcorn party! Tapp Beta Students will help decorate for the Fiesta Night by putting up art in the cafeteria on Nov 7 after school until 6PM. Beta students will also help at the event on Nov 8 with welcoming parents, assisting parents in setting up displays, and serving food. Students would stay after school on Nov 8 until 7:30. You will get a snack just before the event and you will be able to enjoy some of the cultural food during or after the event. Please wear your black Tapp Beta shirt on Nov. 8. Since we were/are not in school for our 2nd October meeting and both November meetings, we have called a special meeting for the 2nd Tuesday of the month- 11/13, after school. Shop with an Indian is a community outreach program organized by the McEachern Beta Club. McEachern students sponsor students from the elementary schools in our feeder program. Each Elementary shopper will also receive $100 to spend at Walmart with his or her assigned team of high school shoppers. Tapp Beta students will stay at McEachern and assist Elementary students with wrapping gifts, create and run holiday games for the Elementary students, and organize and lead holiday crafts for the Elementary students. This may include face painting, nail painting, coloring, cookie decorating, and ornament making. Before school: We will run our “Paws for a Cause” fundraiser in the mornings at the Tiger pole. Grade levels will compete to see who can raise the most money for Relay for Life during conference week. For each quarter donated, a Paw print will be placed on the hallway of that student’s grade level. The winning grade level will receive a prize. Prize will be revealed once it is approved. Students are needed to make paws, collect money, go to homerooms and talk up the fundraiser, and place paws up in the grade level hallways. After school: Tapp Beta Club will serve in a few capacities after school during conference week. We will help direct parents to their child’s homeroom class for their conference. We will also man a Relay for Life table, where we will help students/parents join our Relay team, sell previous year’s Relay shirts, sell this year’s Relay for Life package (t-shirt and dress down days), sell Luminaries (bags that are lit at the Relay for Life event in May in honor of someone who lost their battle with cancer), and sell snacks to raise money for Relay for Life. Tapp Beta students walk in the parade from Macedonia to McEachern High School on New Macland Road to show school and community support. Tapp Beta Club will buy candy to toss to children during the parade. The parade begins at 5 PM and ends about 5:45 PM. Students will wear their Tapp Beta Club t-shirts. Students have a choice of staying after school on Wed to help with our Relay for Life table (see conference week above) OR going home before the parade. If you stay after school, you will walk with Ms. Chamberlain from Tapp to Dollar Tree at 4:30. If you go home after school on Wed, please arrive to the parking lot behind Dollar Tree by 4:40 to get lined up and properly placed. After the parade, students will need to be picked up at McEachern no later than 6 PM. Questions? Ask Ms. Frost. Students will pick up trash, pull weeds, spread mulch, plant flowers, etc. Wear your Pick It Up Powder Springs shirt, if you have one and old sneakers. Tapp Beta Club will make the whole Lost and Found process more efficient. We will organize it and man it two days a week for students to pick up items. See below for details. Only open 2 mornings a week, Wednesday and Friday, for students to come reclaim missing items, beginning Wed, 8/29. Beta students will be in the room and help facilitate the finding of missing items. Teachers can place forgotten items in the box in the TPA labeled Lost and Found. Beta students will collect these items at least twice a week and take to Lost and Found. Exceptions: Glasses, Keys, and Cell Phones- Please take/send these forgotten items directly to front office. Men of Tapp needs our help this Saturday at Reflections of Trinity to support the distribution of over 200 boxes of food to those in need. Time: 11AM (or just before) until about 1:30 or so. Location: 4037 Austell-Powder Springs Road, Powder Springs, GA 30127. Mr. Robinson (Men of Tapp sponsor and art teacher) will be there this Saturday. Our first meeting of the year will be Tuesday, August 7, at 8 AM. Ms. Frost or Ms. Chamberlain will let you in the front of the school. © Content copyright - Tapp Beta Club.